Three men, including former Adidas executive James Gatto, received prison sentences Tuesday in the widespread college basketball recruiting scandal that has tainted two dozen U.S. schools. A former Adidas executive and two other men were sentenced to prison Tuesday by a judge who said he wanted to send a "great big warning light to the basketball world" after the men conspired to pay families so top college basketball recruits would go to Adidas-sponsored schools. 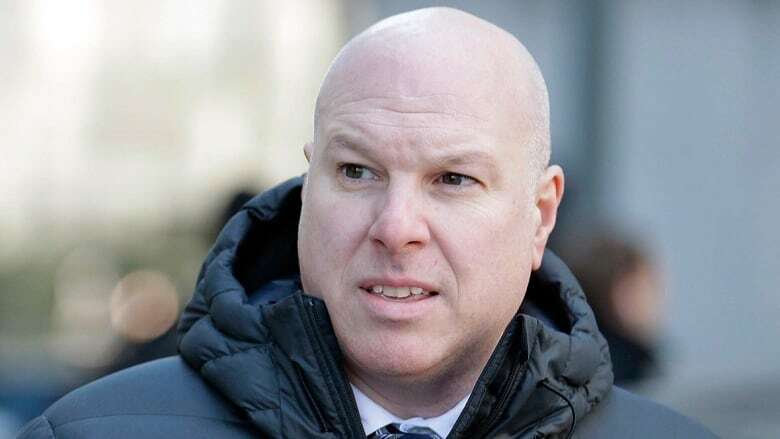 In New York, U.S. District Judge Lewis A. Kaplan said he had to balance the need for a stern message with the realization that others who did similar crimes were not prosecuted in a widespread college basketball recruiting scandal that has tainted two dozen schools. Former Adidas executive James Gatto, business manager Christian Dawkins and Merl Code, a former Adidas consultant, were convicted in October of conspiracy to commit wire fraud for funneling illegal payments to families of recruits to Louisville, Kansas and North Carolina State. Gatto got nine months in prison; Dawkins and Code got six months each. The judge said each can remain free until a federal appeals court decides whether to uphold their convictions. In the wide scheme, prosecutors say coaches teamed up with Gatto and others to trade hundreds of thousands of dollars in bribes to influence star athletes' choice of schools, shoe sponsors, agents and even tailors. Kaplan said leniency for the defendants, who faced as much as three years in prison under federal sentencing guidelines, could only go so far. "These defendants all knew what they were doing was wrong," he said. The judge added that he wanted to send "a great big warning light to the basketball world." "I deeply regret my actions," Gatto said in a shaky voice. Dawkins referenced "social dysfunction" in college basketball and said his actions were "clouded" by a "system that takes advantage of kids." "I realize now more than ever none of this was worth it," Dawkins said. Code, a former Amateur Athletic Union coach, said he also regretted his actions but added: "Some things really got to be changed about college basketball." The judge acknowledged none of the defendants "took home a nickel" from the scheme, but said it was wrong to say there was no economic motive because each defendant's career stood to benefit. Kaplan said all the harm could not be measured in dollars, citing tearful testimony by the father of Brian Bowen Jr., once one of America's bright high school basketball stars who seemed destined for the NBA until it was revealed that his father was to be paid $100,000 US so his son would go to Louisville. The judge said the father cried as he testified that he had wrecked his son's life. The younger Bowen now plays basketball in Australia. Kaplan recommended all three men serve their sentences at minimum security prisons. Three of four assistant college basketball coaches have pleaded guilty in the scandal. Former University of Southern California assistant basketball coach Tony Bland, ex-University of Arizona assistant coach Emanuel "Book" Richardson and former Oklahoma State assistant basketball coach Lamont Evans are awaiting sentencing. Former Auburn assistant coach Chuck Person is scheduled for trial in June.